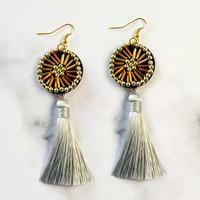 Here is an easy Beebeecraft tutorial on DIY felt earrings with bugle beads and tassels for all DIY fanciers. 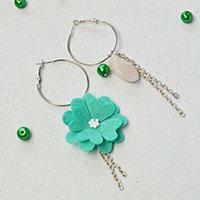 If you are the one who loves simple DIY jewelry, you can learn how to make felt earrings. Would you like to make one pair of personalize earrings and the 2 are not exactly the same. This Beebeecraft craft idea is to show you how to make a pair of not the completely same dangling earrings. 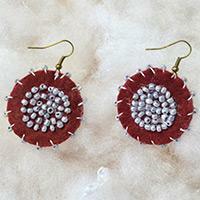 Hi, I’m here to teach you how to make dark red dangle earrings with seed beads in ethnic style. I hope you will like the very different design in this pair of earrings! 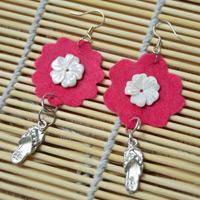 This is a pair of felt flower earrings with pendants in bright color which is perfect for young girls. If you are the one who loves simple DIY jewelry, you could learn how to make felt earrings here!